this is a new post from Tu and new Pic, so it's not snakeman, he said: "finally I finished it". Thanks bro. Can't wait for this part. 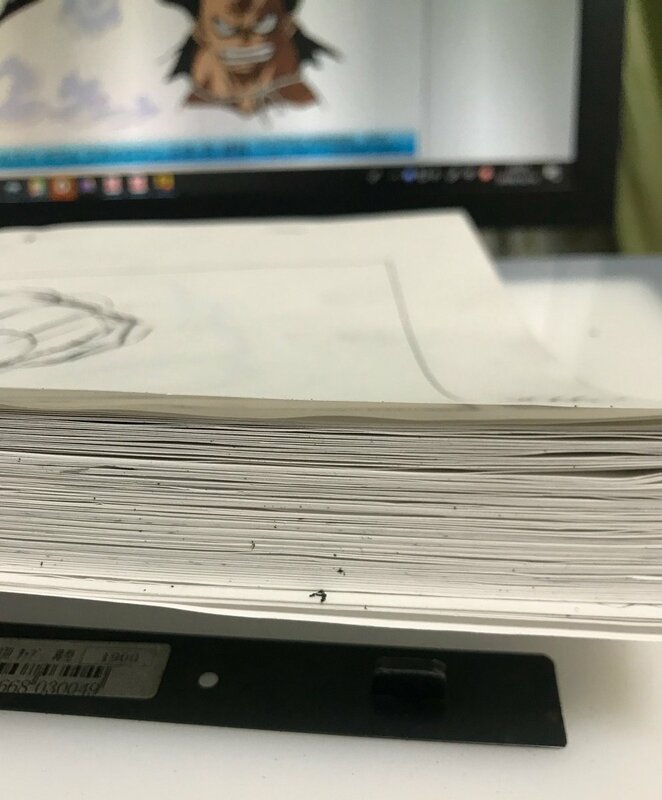 A few people discovered the twitter account of the animation supervisor for 867, Kimitaka Ito. When getting in contact with him, they confirmed a few of his scenes, and he also asked for his name to be translated as Hirotaka Ito as opposed to Kimitaka Ito. Just for reference. Note: The rankings I added next to the directors are fairly subjective. Last edited by MythicalDragon; April 5th, 2019 at 03:55 AM. 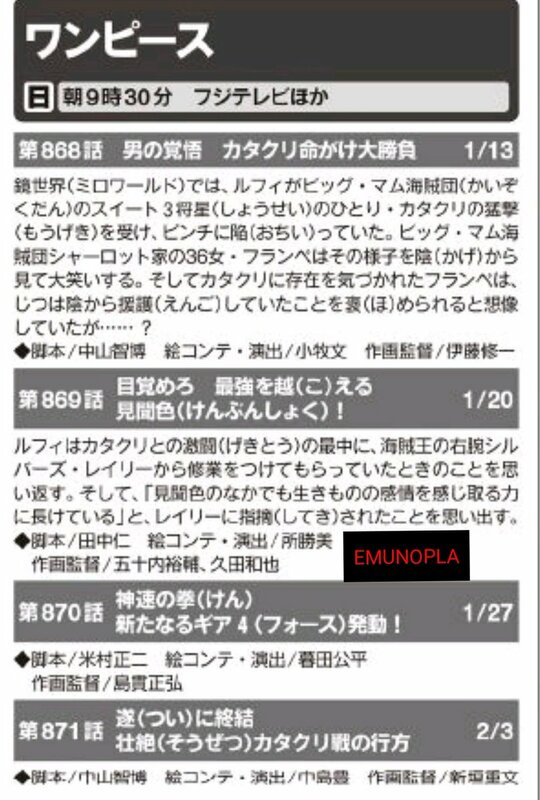 Komaki on episode 875/chapter 900 is a big "Yay!" because Deguchi on that one would be a big "Yikes!" otherwise. I wonder who the staff would be for 877, the arc finale? I would personally love Fukazawa and Ichikawa closing the arc out themselves. A Desperate Situation - The Ironclad Trap of Luffy ! Resuscitation - The Strongest Reinforcement Germa ! Thank you for translating the titles, Chibi. Last edited by MythicalDragon; April 5th, 2019 at 03:56 AM. Last edited by MythicalDragon; April 5th, 2019 at 04:24 AM.